This entry was posted on June 21, 2012 by LED Strip Lights Team. Lighting plays a very important role in creating the look and feel of a room. With their discreet and flexible design, LED Strip Lights allow users to explore a wide range of lighting options. Most traditional light schemes rely on a single light bulb fixture positioned in the middle of the room and projects a flat, even light across everything. While affordable and somewhat practical, this kind of lighting can really kill the atmosphere. More recently homeowners have become a little more ambitious, using spotlight and downlight fittings to create focal points and variable ambience. LED Strip Lights allow users to incorporate lighting in new and exciting ways. They are easy to fit and can be introduced into the existing layout of a room while remaining inconspicuous. In most cases they are used decoratively, but they can also be used to completely change the lighting dynamic. In a room, lighting serves two purposes; practicality and aesthetic. LED Strip Lights are unique in the sense that they combine the two. LED Strip Lights are available in a choice of brightnesses ranging from a soft, mood light, to a sharp, bright task light. That means they will fit into most lighting designs, serving both practical and aesthetic purposes abley. For additional flexibility a dimmer switch can be used. Colour is just as important as brightness. LED Strip Lights are available in three standard colour options, all of which are suitable for different facets of interior design. Warm white mimics the soft, ambient tone of incandescent bulbs and is good for creating subtle effects. Cool White is much brighter and serves better as an accent or feature light. Finally, colour changing RGB can be used for a wide selection of traditional colour options and will create a far more playful finish. Great for when you're entertaining guests. 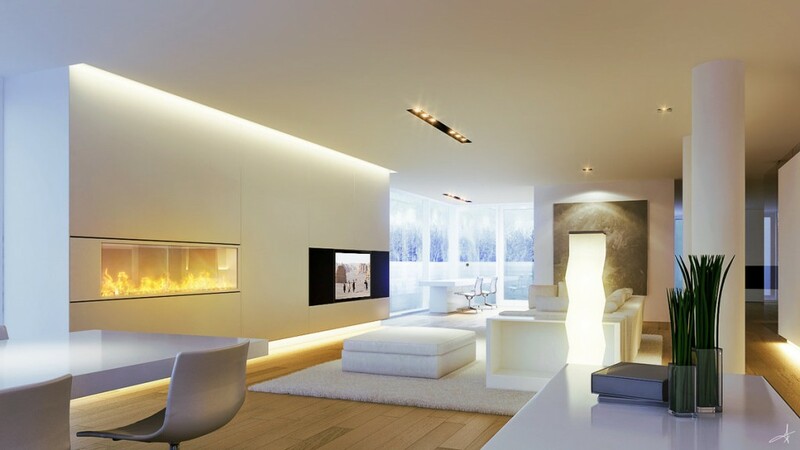 LED Strip Lights are commonly used to create hidden and subtle lighting. The fixtures themselves are installed out of sight, while their light remains indirectly visible, bouncing off ceilings, walls and other surfaces. In these applications the lights are required to fit into very small and narrow spaces. The easier they are to install, the better. Their ease-of-installation makes LED Strip Lights ideal. They require no brackets or permanent fittings, but instead use a 3M self-adhesive backing, allowing them to be stuck directly onto the surface. The fixative is strong enough to hold them in place, but can be removed without damage if necessary. A few ideas for where to use your strip lights include, the under side of kitchen cabinets, the top side of bookshelves and cabinets and around ceiling features. For more information call 0845 883 3288 or email support@ledstriplights.co.uk.